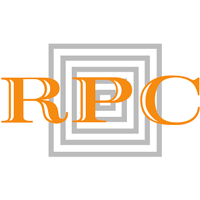 RPC Group Plc (LON:RPC), a leading global plastic products design and engineering company, today issued a trading statement relating to the third quarter (1 October 2018 to 31 December 2018). Revenues generated by continuing operations in the third quarter were £894m, ahead of the corresponding period last year and reflecting organic growth of 1.4%, with sales growth moderating towards the end of the quarter due to weak trading around the Christmas period. Organic growth for the first three quarters ended 31 December 2018 was 2.6%. The Group’s operating profit from continuing operations (before adjusting items) in the third quarter was similar to the corresponding period last year. Whilst polymer price changes continue to be passed-through to the customer base, the time lag in doing so resulted in the Group continuing to experience a temporary headwind which totalled £10m at the end of the first six months of the year. The Group’s financial position remains robust with significant headroom available under existing debt facilities. The Group is finalising preparations to mitigate any disruption resulting from the UK’s exit from the European Union. As a consequence manufacturing sites are building buffer stocks which has resulted in a negative impact on working capital and thus cash flow in the period. Net finance costs in the quarter were higher than the corresponding period last year due to increased net debt, LIBOR increases and margin ratchets. During the quarter the Group completed the disposal of the non-core spirits closures business at Bridge of Allen, Scotland, to GCL International SARL, a subsidiary of Guala Closures Group, for a pre-tax cash free, debt free consideration of £19 million. Progress continues to be made in the disposal of the European injection moulding automotive business previously identified as non-core. In January RPC completed the acquisition of Neluplast Tiefzieh-Technik GmbH, an innovative German thermoforming business with attractive market positions and annual revenues of circa €17m, for a cash free, debt free consideration of circa €9m. Recommended offer from Apollo Global Management and statement re. possible offer from Berry Global Group, Inc.
On 23 January 2019, RPC and Rome UK Bidco Limited, a company formed on behalf of funds managed by Apollo Global Management (“Apollo”), announced that agreement had been reached on terms pursuant to which Apollo will acquire the entire issued and to be issued share capital of RPC. On 31 January 2019, Berry Global Group, Inc. (“Berry”) announced that it was considering a possible cash offer for the Company. The Board of RPC confirmed that it will engage with Berry in accordance with its obligations under the Code and in order to advance discussions in the interests of delivering best value to shareholders. There can be no certainty that any offer by Berry will be made for the Company, nor as to the terms on which any offer might be made. Click RPG for the full archive.